CasinoPlex has some record high jackpots these days for you to win. So if you want to start 2013 as a millionaire, then just play on the CasinoPlex Progressive Jackpot Slots and you can be the next millionaire. The prizes are progressive, meaning they increase every second until the jackpot is won. Here’s a list of the jackpot games and their prizes for you to know where you stand the best chance to win big money. Gladiator slot currently stands on $1.306.910,26 while Beach Life offers a $1.008.772,70 progressive jackpot. How do you get the chance to win the Jackpot? The Gladiator Jackpot Bonus is triggered when three Wild symbols appear simultaneously in any position on reels 2, 3 and 4 during main game or during Free Games. In the Gladiator Jackpot Bonus round, a centered window reveals 9 helmets in either gold, silver or bronze, all three with prize values a multiple of the total bet, of which gold wins most and bronze the least. The values of those 9 helmets are accumulated and make up the total Bonus prize. Collecting 9 golden helmets during main game wins the Gladiator Jackpot. CasinoPlex are giving you a unique chance to win all the biggest Jackpots with a bonus offer every Saturday and Sunday. Claim a 100% welcome bonus up to $750 or a 100% deposit bonus up to $100 on every single deposit you make every Saturday and Sunday. With the axtra amount of chips to wager on jackpot games you’ve get an extra chance to hit the jackpot! The bonus has a wagering of 50 times. 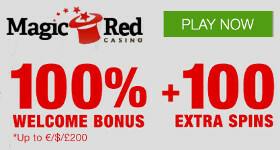 Don’t miss out on this great offer that could change your life forever, claim your bonus now! Betfred Casino turned a £1 player into a multi-millionaire over this past weekend when a fantastic jackpot winning of £5.1 million found its new owner. That equals $8 million or €6.1 million. Betfred Casino announced that one lucky Betfred.com customer has become the biggest online progressive jackpot winner in UK history after scooping £5.1 million on the Betfred Beach Life slot game. Incredibly, the life-changing jackpot was won from an original £1 stake. The lucky customer won £250 from £1 spins on Betfred Casino’s King Kong slot before turning their attention to Beach Life and its huge progressive jackpot. Only six spins later (and five wilds on the 20th pay line) the player was celebrating an incredible win by hitting the jackpot. In a single moment they became the biggest winner in the UK of an online progressive jackpot and the third biggest ever worldwide. Soon after the win was confirmed, they were flown out on a private jet to meet Betfred.com founder Fred Done to be presented with the cheque. Fred was quick to congratulate the winner saying: “As a bookmaker I get a real thrill out of turning somebody into a multi-millionaire at the click of a mouse. The jackpot has been growing for a while now and we were all hoping that it would be a Betfred.com customer that won this life-changing jackpot. It just goes to show that it’s always worth trying your luck!”.